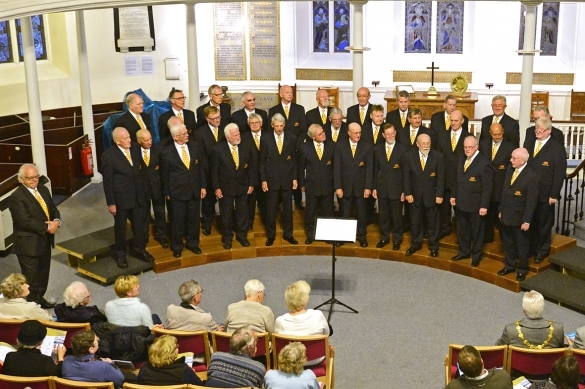 This year’s International Music Festival commenced with Mousehole Male Voice Choir hosting three other choirs on Thursday 27th April with a Regional Gala Concert at Chapel Street Methodist Church. 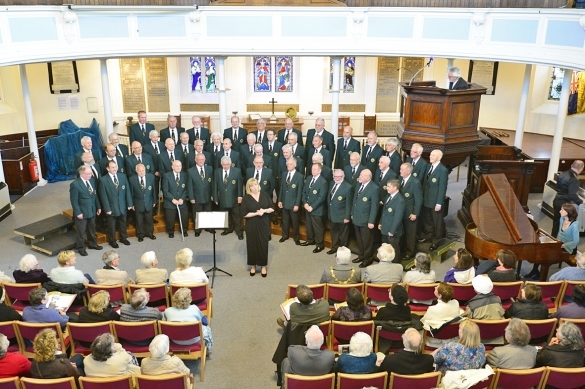 Joining Mousehole Male Voice Choir were Marazion Apollo Male Choir, The Melbourne Welsh Male Choir from Australia and the Grass Valley Male Voice Choir from California. 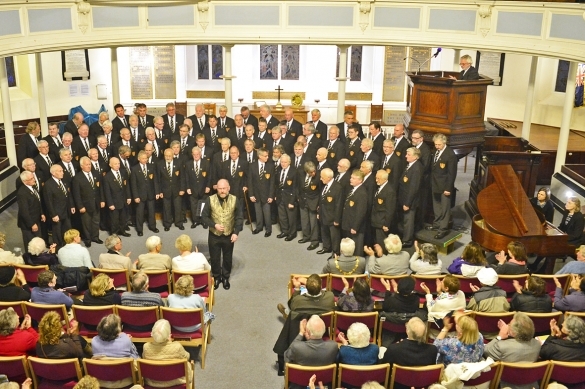 This was one of the first concerts of a weekend filled with song and which proved to be a great success. 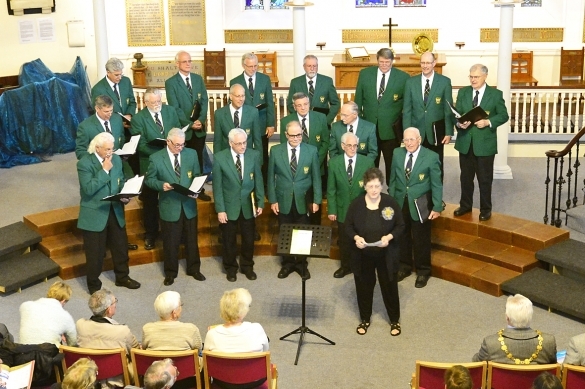 A capacity audience of over 350 people packed the Methodist church and were treated to each of the Choirs bringing different and interesting repertoires that complimented each other and which made for a very enjoyable evening. The Rev Julyan Drew compared the evening and at the end he made a special point of thanking the superb playing of the four accompanists. Afterwards Mousehole hosted a reception at the Astro Park, Penzance for all the choirs, where the Ladies of Mousehole Male Voice Choir provided an excellent buffet for nearly 200 choir members, their families and supporters. The choir would like to extend their gratitude to all the ladies of the choir who provided such a wonderful table of food for everyone and the staff of the Astro Club for helping with a very successful evening. Our thoughts now turn to Saturday when the choir takes part in the International competition for the very first time. Mousehole will be competing in the '41 Voices and Over' Category, for the Festival Trophy and The Pendennis Trophy for the best Cornish choir. There is strong competition from both home, here in Cornwall, and abroad from the UK and Europe. If anyone is interested in joining the choir, come along to our practice night, on Monday evenings from 7:30pm, and introduce yourself to to our MD, Stephen Lawry or to Tim James our secretary. Choir practice in the summer months is at Paul Parish Church and will remain there until early October.